Battery life is hard to predict due to variables such as climate, terrain, and individual driving habits. Warrenton Toyota has Toyota-trained technicians and state-of-the-art battery testing tools available to determine your battery’s health and prevent an unwanted situation when your car won’t start. We’ll quickly assess your battery and discover any issues that you may need to take care of today. If your vehicle is hard to start or has dim headlights when the engine is turned off, your battery is getting weak and should be replaced with a new battery. The service technicians at Warrenton Toyota are ready to help you get your car back to like-new status. We want to keep your Toyota on the way for years to come! 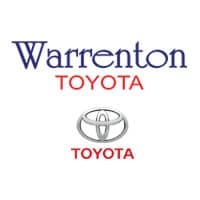 Schedule your appointment at Warrenton Toyota to have your battery serviced or replaced. We know your Toyota!